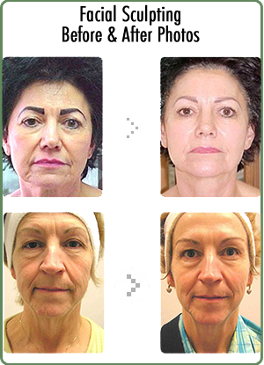 Our microcurrent facial sculpting technology is a non-surgical alternative to facial cosmetic surgery. People all over the world are discovering a better way to achieve beautiful looking skin with a more natural look, and without the unnatural appearance that is often a result from cosmetic surgery. Microcurrent Facial Sculpting from Beautiful Image is changing the way the world looks at non-surgical facial technology, because it does not rely on wounding the dermis to stimulate its anti-aging properties. No Harmful Lasers! No Recovery Time!